Making a move in Detroit Lakes? 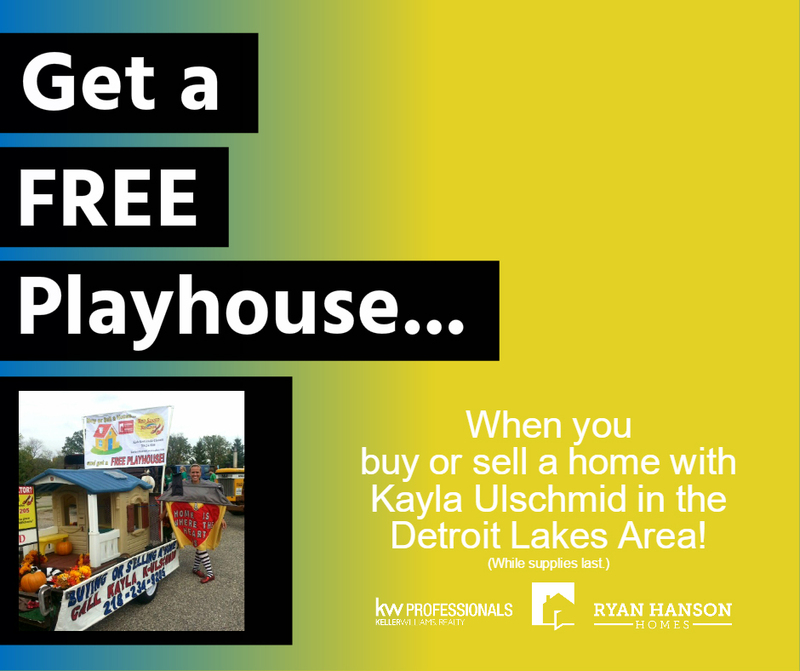 Get a free playhouse when you buy or sell a home with our Red Shoed Realtor, Kayla Ulschmid! Contact her at (218) 234-9205 or kayla.ryanhansonhomes@gmail.com to discuss your real estate goals.